Spending time in nature can do wonders for your overall health. Not only does it help reduce stress but also improve your brain function. Start dreaming about the nature adventures you would like to experience, from cattle feeding to fossicking for gold and everything in between, then live the dream at Gilberton Outback Retreat! Gilberton Outback Retreat offers a one-of-a kind, luxurious outback experience to honeymooners. This 5-star property is set on an idyllic and rugged location in the Far North Queensland region. The private retreat is owned and operated by the French family of more than 5 generations. Why go to Gilberton Outback Retreat? 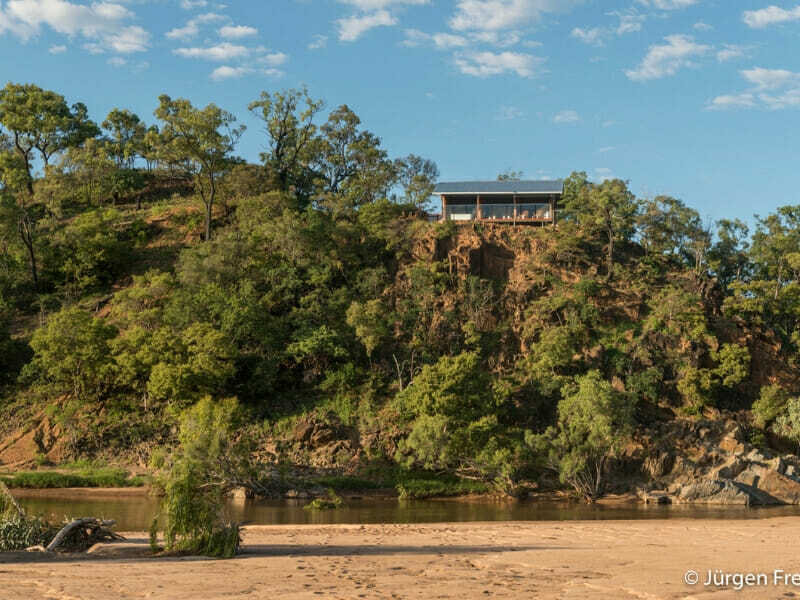 The privacy, peace and quiet that Gilberton Outback Retreat has to offer is unlike any other. People who have been here can also attest to the staff’s personalised services and superb hospitality. 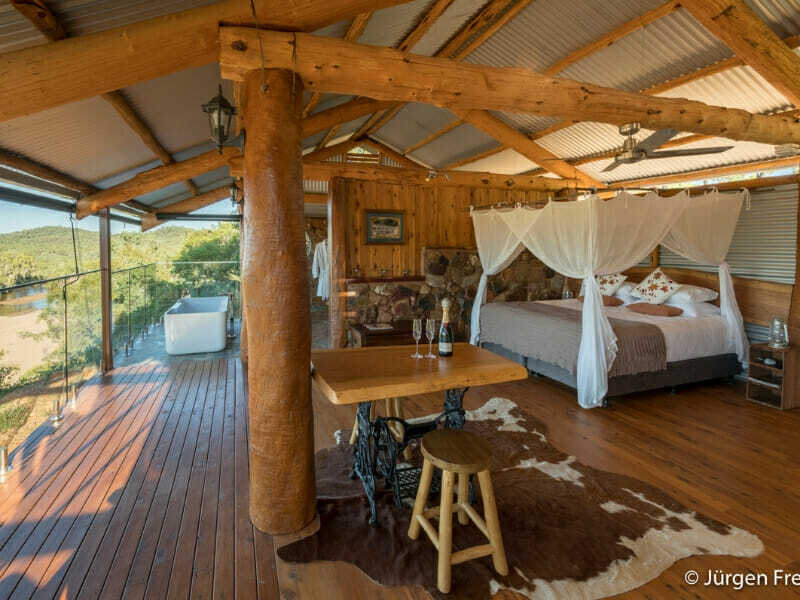 At Gilberton Outback Retreat, you and your loved one can get away from the hustle and bustle of city life and find solace in the beauty of nature or wildlife. This accommodation, fully-furnished with a deluxe King-size bed and an indulgent spa bath, is every couple’s ideal retreat. With a self-contained Private Hut overlooking the tropical rainforest and Gilbert River, you can surely unplug, unwind and recharge. Your accommodation’s upscale amenities, such as Aboriginal art décor, well-equipped kitchen and en suite bathroom, are second to none. As a special gift from My QLD Holiday, this all-inclusive accommodation comes with a complimentary welcome platter and a bottle of champagne! 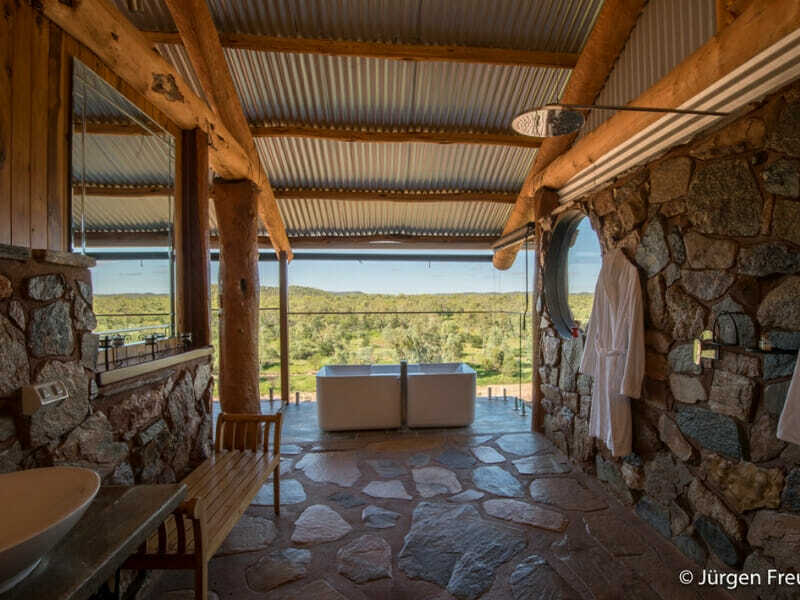 Gilberton Outback Retreat lies within a sprawling 88,000-acres of working cattle station in the goldfields of northern Queensland. 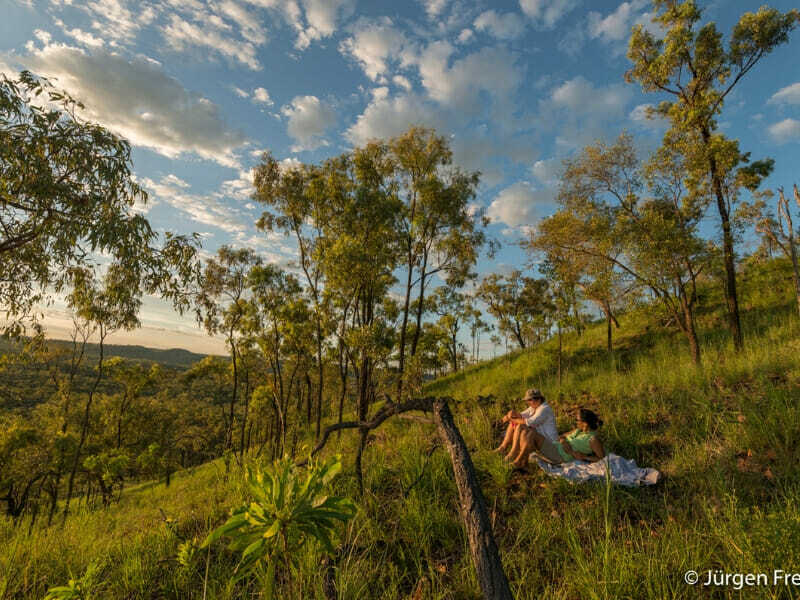 Your stay at Gilberton Outback Retreat comes with customised tours courtesy of My QLD Holiday. Unique outback experiences may include seasonal station activities such as cattle feeding, learning about cattle production and goldmining history as well as enjoying water activities like kayaking.